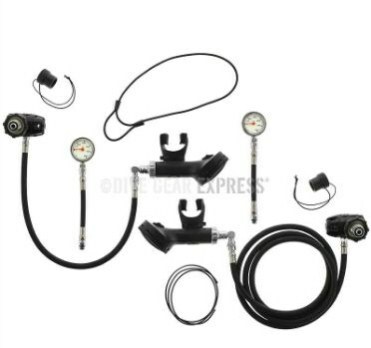 A greater number of scuba equipment manufacturers are now offering dedicated sidemount regulator sets. 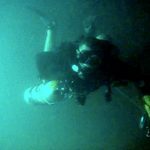 Here is my guide to some of the best sidemount regulators sets available. 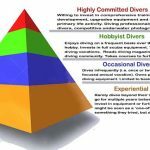 For the average novice sidemount diver, there are some distinct advantages to buying a complete set-up rather than attempting to source and obtain individual components. 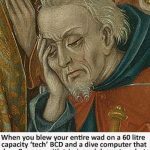 You do, however, need to look closely at what’s included with these set-ups and make sure that it’s appropriate for the BCD and configuration you will use. 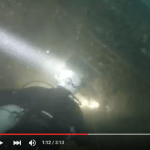 If in doubt, consult your sidemount instructor (or drop me a line!). Two 1st Stage Regulators, ideally incorporating a swivel and 5th (end) IP port. A bolt-snap and attachment for the long hose regulator. 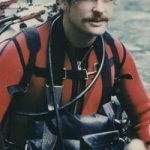 There are some approaches to sidemount that don’t use a ‘conventional’ long/short hose arrangement; preferring shorter hoses routed directly to the mouth from each side (ambidextrous 2nd stages). 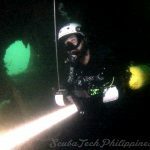 This is normally for cave and solo sidemount diving, although at least one training agency is now advocating donating cylinders (with short hose) rather than donating a long hose. 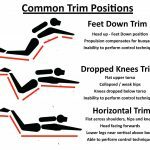 The DiveRite system listed below gives an option for that. Many of my students attend for courses with these regulators and, thus far, they’ve been immensely successful. Apeks have a high reputation for quality and it is easy to get them serviced or repaired anywhere around the globe. The XTX first stage is basically a DST with the optional swivel and end port. If putting your own set together, you could also use the upgraded DST regulators. 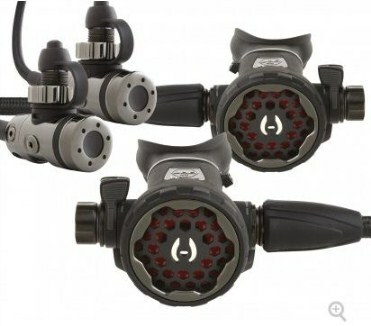 The only thing I don’t like about the Apeks sidemount regulator set-up is that it uses nylon braided hoses. 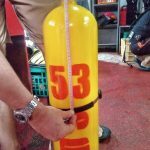 These are generally less popular with technical divers and there have been some safety issues with them (read HERE). 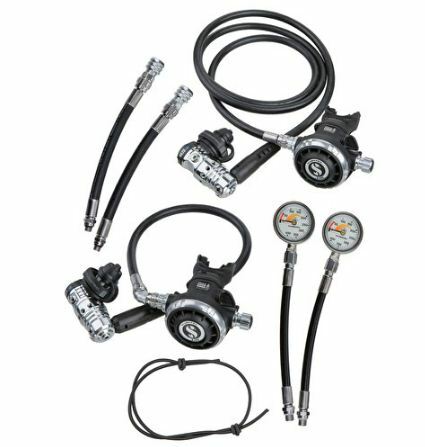 If possible, ask your vendor if you can opt for rubber regulator hoses. 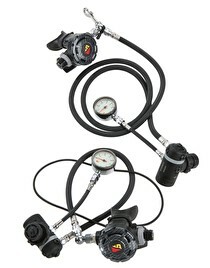 I’ve dived with Scubapro Mk25/S600 regulators for over 12 years, both sidemount and backmount. 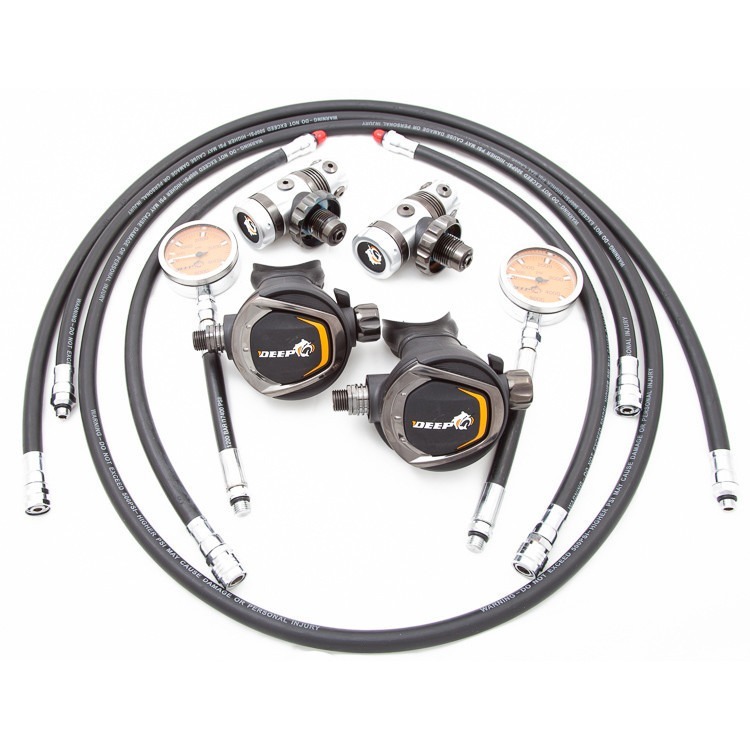 It’s surprising that Scubapro hasn’t copied Apeks and other manufacturers to release a dedicated sidemount set. 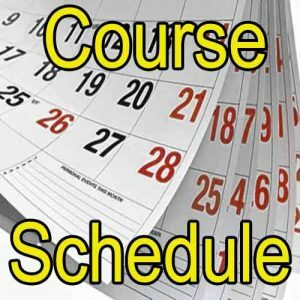 However, Simply Scuba in the UK have put together a set comprising the latest MK25 Evo first stages and lightweight G260 second stages (the successor to the G250). 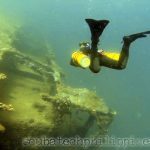 Scubapro Mk25 are an awesome first stage, offering excellent performance for high-demand diving. 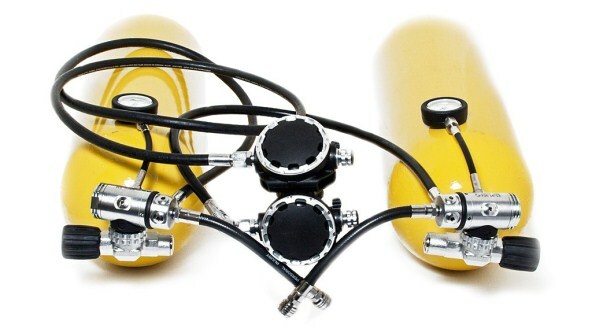 They are also very well configured for sidemount use, with a swivel and 5th (End) port. 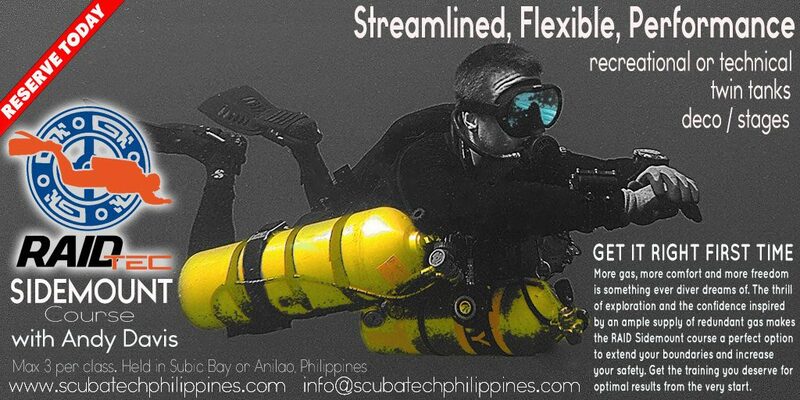 If you cannot find a sidemount set available, then this is one brand to consider putting your own set together with. 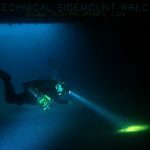 The Hollis sidemount regulators definitely scoop the budget award, coming in at less than half the cost of some other sidemount regulator sets on the market. 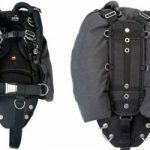 These are a good option for recreational sidemount divers, who might have a lot of kit to buy when first converting to sidemount diving. 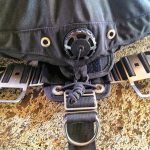 Dive Gear Express, in the USA, offer an alternative set-up…. I’ve listed the details below. 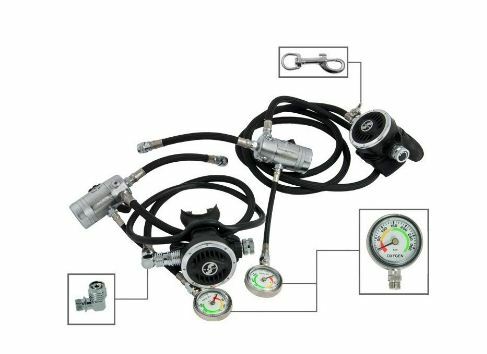 The DiveRite XT Nomad sidemount regulators are designed for a sidemount configuration that doesn’t utilize an ‘around the neck’ (Hogartian) regulator hose approach. Retailer Dive Gear Express does give options on hoses though – so you can specify more conventional hose lengths if desired. Tecline is less well known in the USA, but has started to gain interest in Europe. 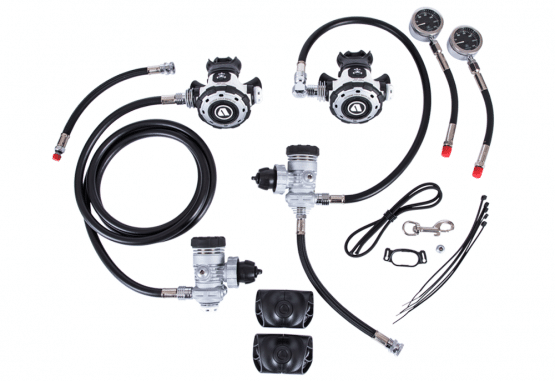 Their R2 Tec regulators are reminiscent of the Apeks XTX, but at a much cheaper price. 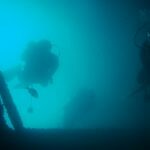 The version of 1st stage sold with the sidemount set is cold-water rated. 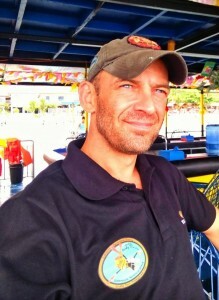 Agir-Brokk has a strong reputation for quality in the technical diving community, but their products are often difficult to source. These regulators don’t have a price listed on the Agir-Brokk website. 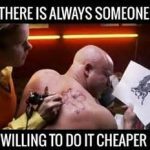 Perhaps that quality is so high that if you need to ask the price – then you probably cannot afford them? For some reason, the regulators are only available in an uncommon 230 bar DIN fitting. This means you can use them on 200 bar valves, but won’t be able to use 300 bar cylinders. 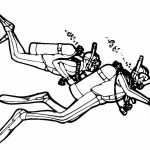 That’s a drawback for travelling divers using rental tanks – as most DIN tanks will have 300 bar valves on them. Atomics have a very high reputation for their regulators, and this reflects in the price. The performance often rates at the top-end in comparative regulator tests. 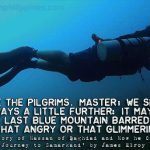 With proven performance, the only real drawback is that some divers might find it harder to find a center for service/repair when travelling in less developed regions. 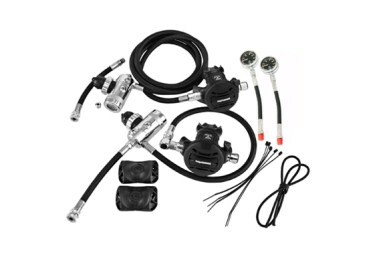 Poseidon don’t offer a sidemount regulator package, but USA online dealer ‘Dive Gear Express’ have put together a complete set. Poseidon regulators are renown for their ample gas delivery and reliable performance in cold water conditions. The one drawback to this set is that the 1st stages don’t feature a swivel or 5th (end) port. This can cause hose-routing problems with some sidemount configurations. 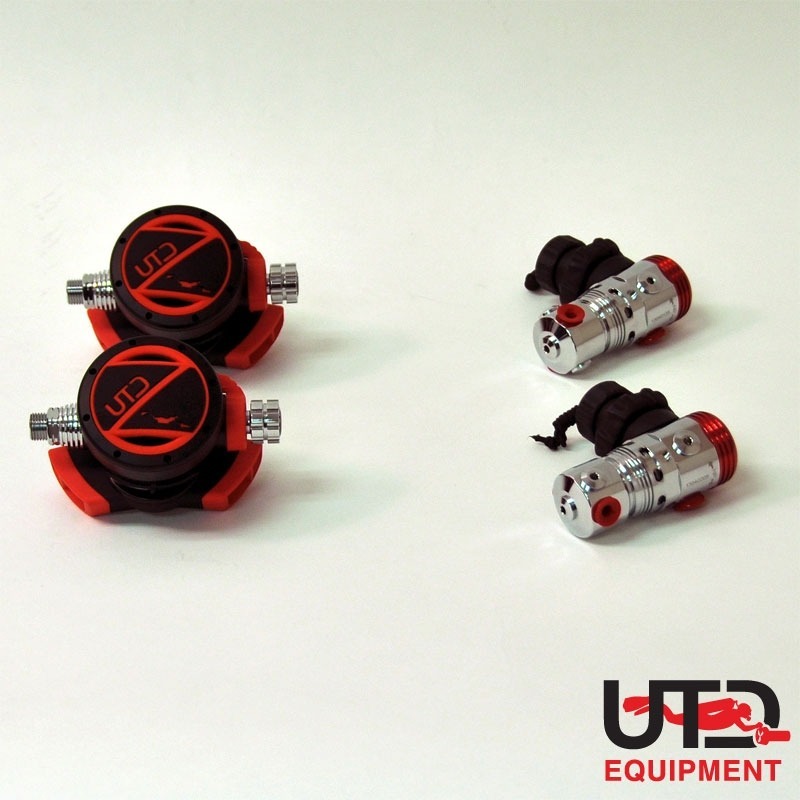 UTD are popular as sidemount regulators, but they sell them as part of their unique ‘Z-System’ which makes use of an isolated manifold and QR6 disconnects. 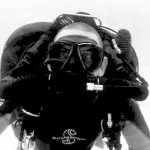 If you aren’t a UTD trained sidemount diver, then that set-up is probably far more complex, confusing and expensive that you need it to be. 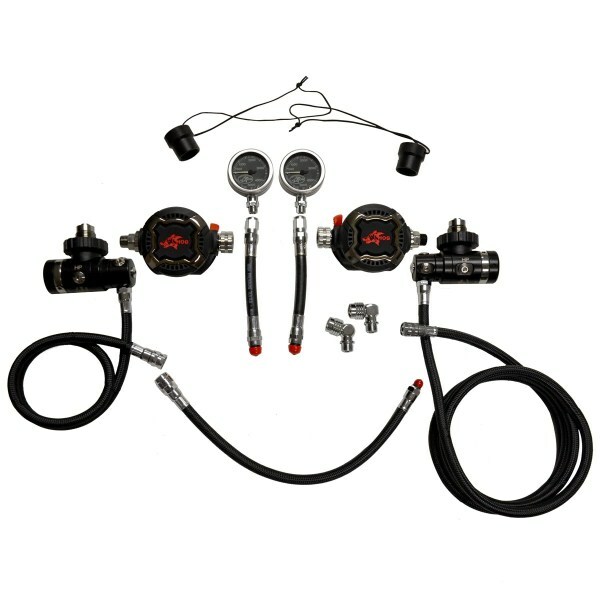 However, you can always buy the regulators and hoses separately and make a good set-up. 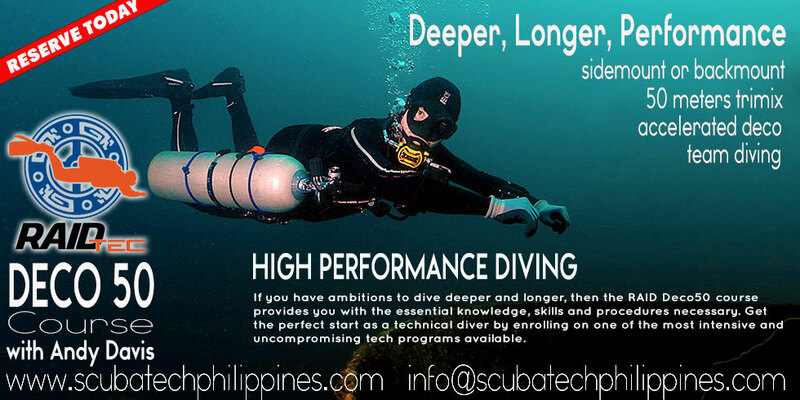 HOG are a very popular economical tech scuba brand in the USA. 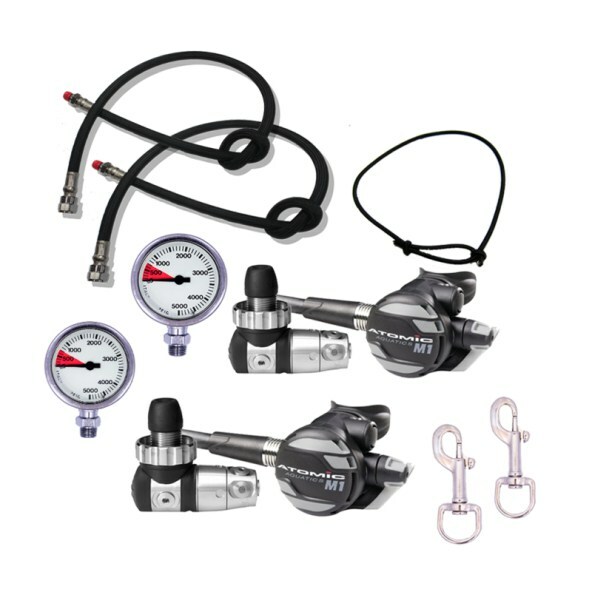 The D3/Zenith set is an upgrade of the older D1/Classic sidemount regulator set. 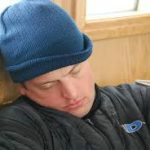 I’ve had a few students on training courses who had the older HOG regulator sets – there were a few quality control issues raised. I personally didn’t like the HOG mouthpiece… I think it’s too soft and flexible (but that’s easily changed). I will try and keep this list updated – so if you know of any new releases or changes to what I’ve written… please let me know.